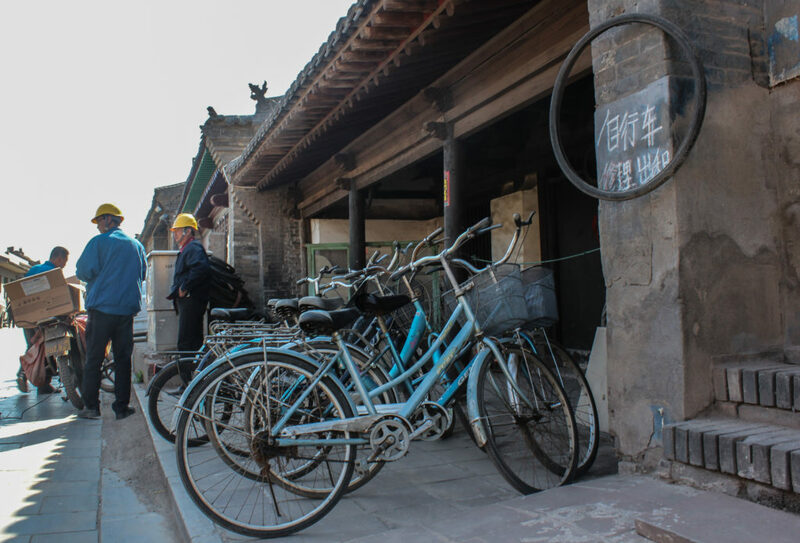 On a morning when the electricity is out in Pingyao, China, my friend Michael and I are searching for a bicycle repair shop. An unusual quest, considering neither of us has a bike that requires fixing. The real goal is this: to discover more about cycling culture in a city where bikes play an instrumental role in everyday life. 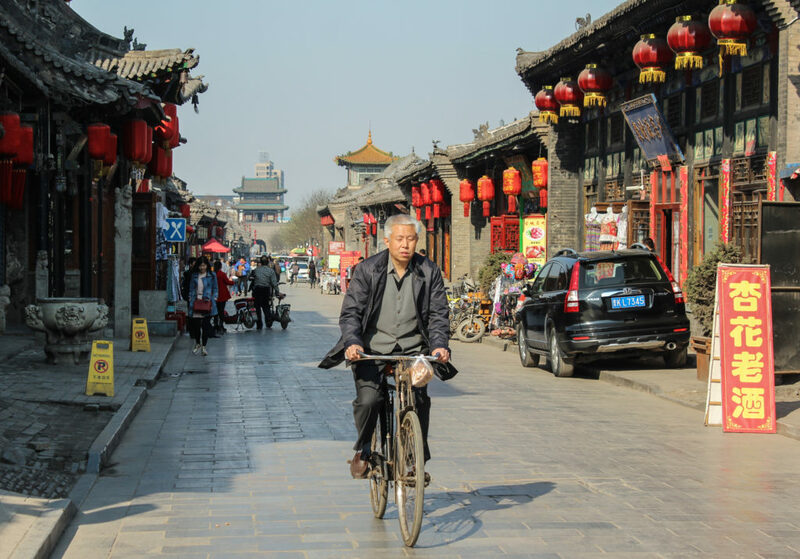 In fact, bikes – electric and pedal-powered – are the main mode of transportation in Pingyao, the small-by-China standards (population: 500,000) city. Pingyao is best known for the well-preserved, 2,700-year-old stone walls that surround the old part of town. While the population of the ancient city can triple with domestic and foreign tourists during peak travel times, the area is also home to more than 30,000 locals. And guess what? Most of them ride bicycles. Only locals are allowed motorized vehicles within the ancient walls, and I admit to being nearly ploughed down by the sedans and brightly-coloured golf cart buses that zip tourists through the inner twist of streets. Horns are used liberally. Then there are the bikes, ridden by people of all ages and sizes. Sometimes there are children sitting on the laps of parents, or grabbing torsos with tiny arms, as they sit on built-in backseats. I watched one morning as a man who looked to be about 75 drove a cargo bike full of Styrofoam pieces up the smooth brick of Xi Dajie (West Avenue). 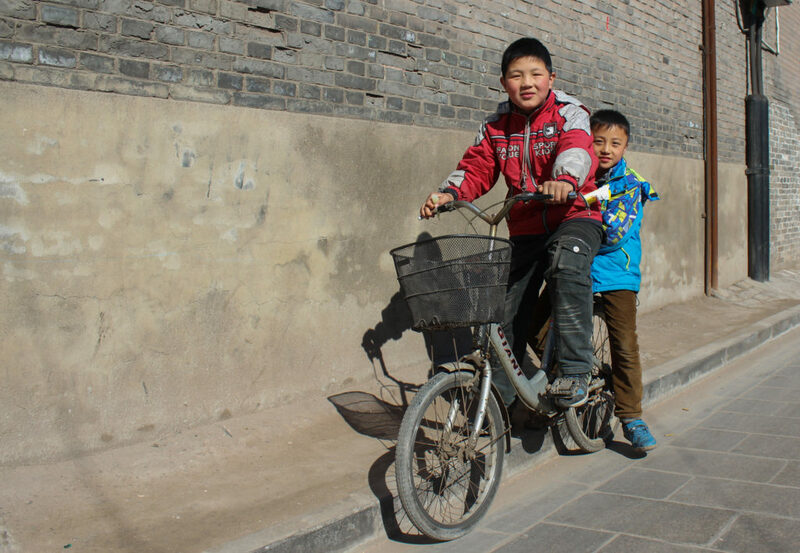 “Biking is very popular in Pingyao and in Shanxi Province. China has developed very quickly in the past decade, so most people can still not afford a car. That’s one of the reasons for biking,” says my friend Michael Liu, the one with whom I’m hunting for the bike repair shop. He’s originally from Taiyuan, another city in the province. Michael (and perhaps he now regrets this) started talking to me on my first night in the hostel, an activity which quickly became me asking him dozens of questions about his life in China, including ones about bike culture. As part of my ongoing interrogation, Michael agreed to serve as my translator so I can speak to locals about cycling. Earlier in the week I had spotted what appeared to be a bike repair shop in the old town, and that’s where we head first. But the power outage, and the fact that it is a weekend morning, means the place is closed. Two young sisters on pink rollerblades try to lead us to another location, but no luck there, either. So Michael and I keep strolling, heading south within the city walls. That’s when we come across a faded brick building with green framed windows. It’s on the corner, and there are a few bikes leaning against the wall. Michael recognizes the Chinese characters for “bike repair” outside. I hold my breath, hopeful, and peek through the dusty window pane of the door. Zhaohua Zhang stares back at me, and we both step back, startled. He steps into the front entrance area, and Michael explains that I’m interested in asking him a few questions about his bike repair business. He agrees, and is soon brushing off a squat-level stool from the small room that is his shop. Behind a shelf holding brake cables, an assortment of nuts and bolts, and a canvas bag of bike tubes, there’s a strung up sheet. Concealed there is Zhang’s bed, a wall-mounted clock, a television, and other small knick-knacks. This is but one example of the little separation between home and work for many small business owners in China, and gives a whole other reality to the concept of working from home. 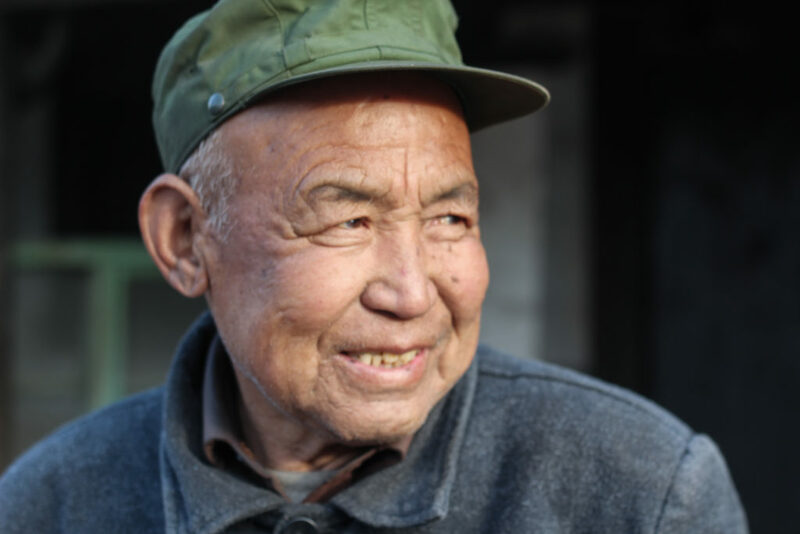 Zhang sits on a worn leather chair, the morning light highlighting gentle wrinkles of old age. 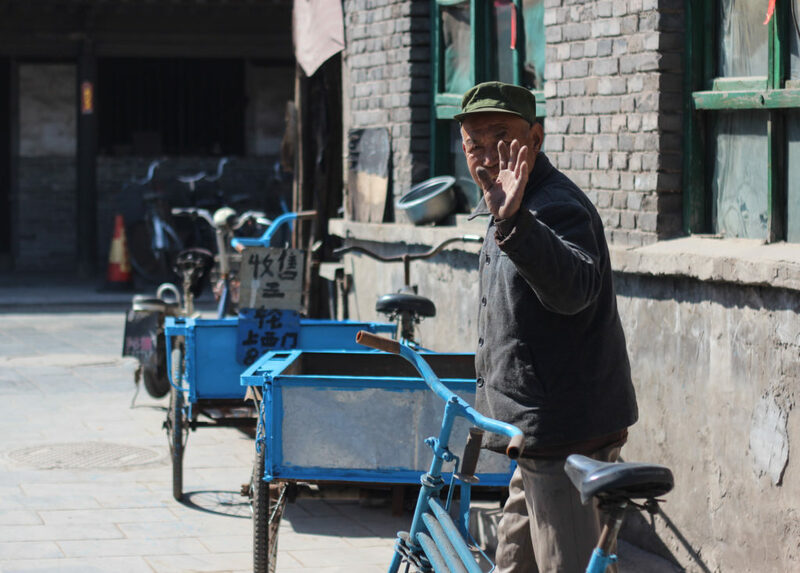 At 84-years-old, Zhang may be the oldest bike repairman in Pingyao. 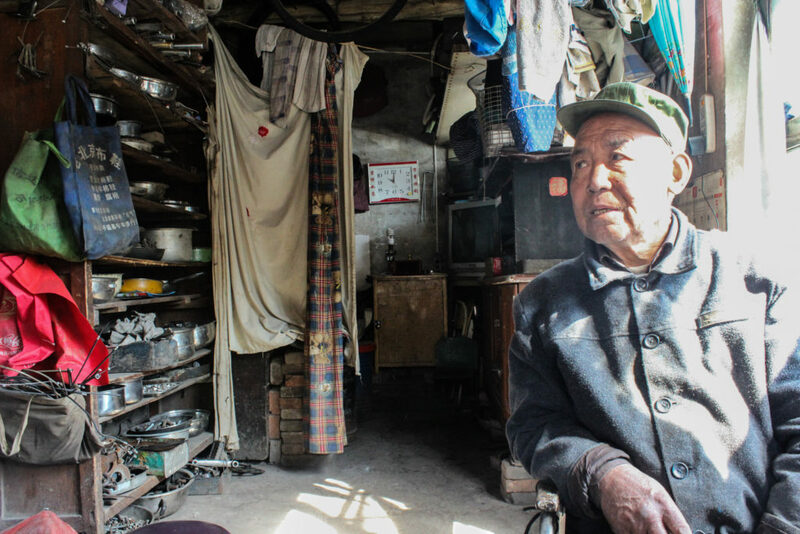 It’s been 50 years since Zhang taught himself to repair bikes. Half a century later, he looks the part: his tan pants are spotted with chain grease, and he perpetually twirls a narrow screwdriver between leathered fingers. Repairing bikes started as a hobby for Zhang. 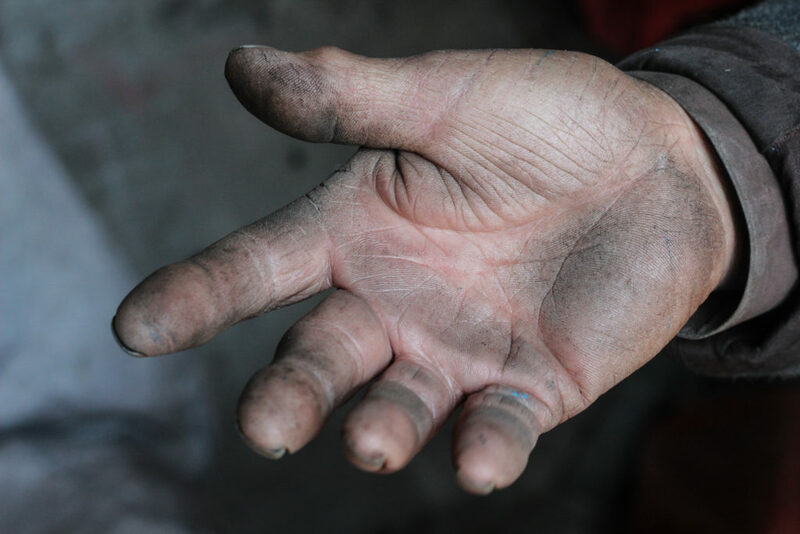 Shortly after, he became good enough with repairs that he was hired to fix machinery at a local factory. He ran the bike repair shop on the side, in the same location where we now sit, and has continued to do so since retiring from the factory at the age of 54. His third job was as a father, and he raised his four boys and three girls repairing bicycles, creating a tight-knit, family operation. Today, his second eldest son still repairs bikes in addition to his day job, and on this morning, stands on the front stoop, peering in the window as we talk. 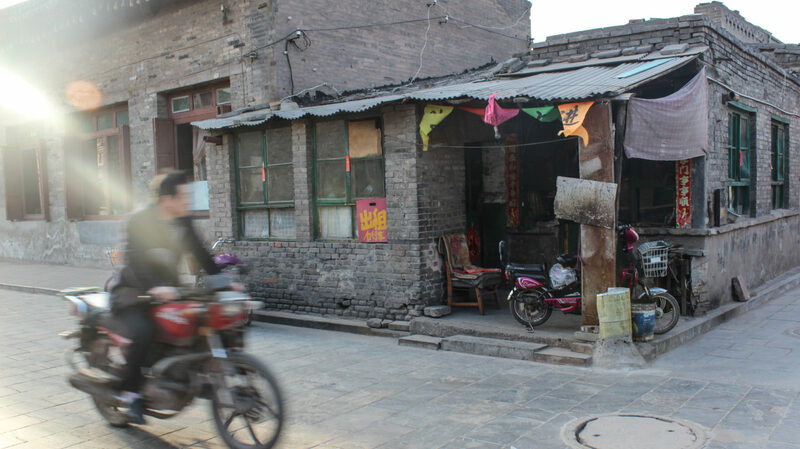 Zhang has seen a lot change in Pingyao over the years. Zhang says bikes have always served as more than just a way to get around. “Some young people get married and have no work, so they buy a bicycle, make food, and sell it from a trailer on the back of their bike,” he says. I’ve seen this for myself: fresh vegetables and aromas of baked sweet potatoes coming from businesses on bikes. These are what the cargo bikes sitting outside his shop are for – potential business bikes, all bright blue and refurbished metal. 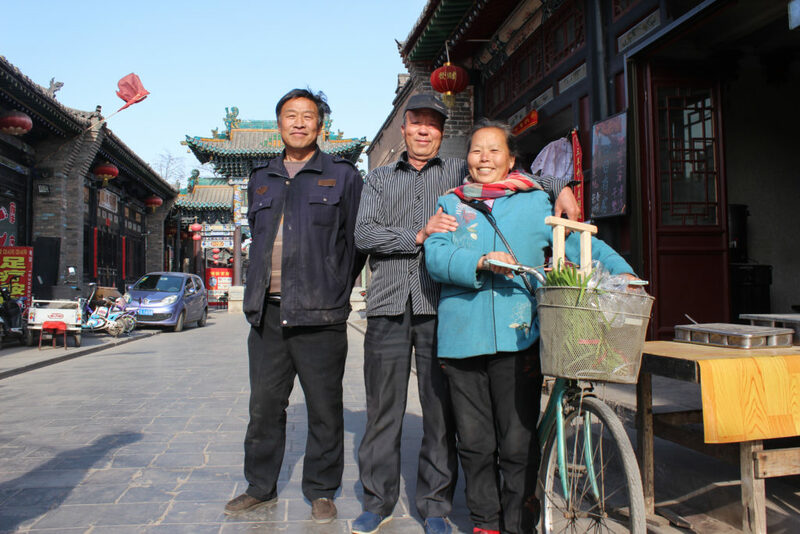 Today, Zhang has also expanded his business to include a bike rental shop across the street, where he does quick business with domestic tourists. Having retired once from the machine factory, Zhang says he has no plans to retire again. There’s a pink electric tricycle that sits outside his storefront. 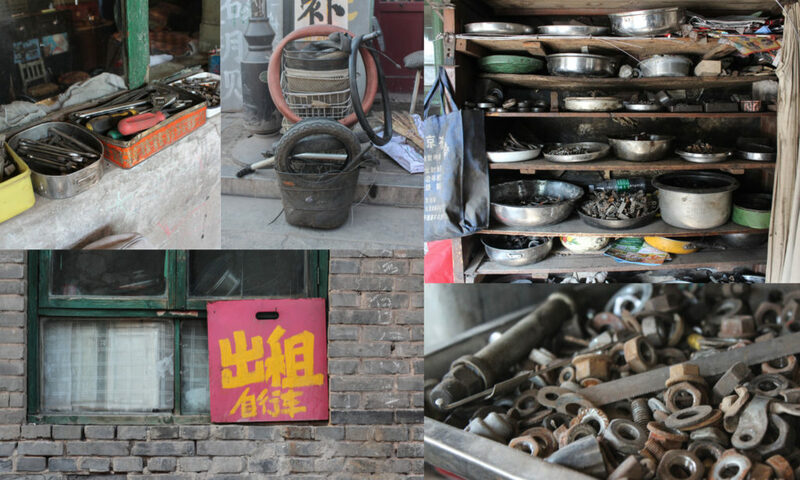 Zhang still takes that bike out every day, scavenging for parts he can repair and transform into functional bicycles. I visit Zhang’s shop again later in the day, to take photos in better light. Michael doesn’t come along this time, ruling out any conversation that involves more than a set of exaggerated hand gestures. But we shake hands again, and hold the grip for longer than you would in North America. I admire this man, with his warm eyes and leathered hands. He has the grasp of a man who shows no sign of slowing down.